There has been a bit of an explosion of natural and organic mattress retailers, many of them have been in business for years in Europe and are just now popping up state-side. Conventional mattresses these days are made with an array of materials and chemicals, especially the popular memory foam mattresses. Unfortunately many of the mattress producers are also required to add toxic flame retardants although there are more natural ways around this. Still, many compound the issue by using petroleum synthetics, unsustainable materials, and manufacturing practices that release harmful VOCs (that really bad chemical smell from paint or a new foam mattress), and that are not biodegradable or recyclable only to waste space in landfills. Some of the larger names using 100% natural rubber and various other sustainable materials include Coco-Mat, Essentia, and US based Earthsake. 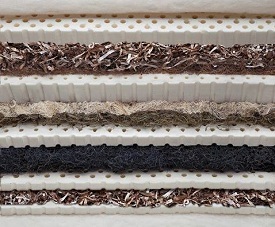 A few other companies such as Keetsa offer ‘natural’ mattresses which only use a percentage of natural rubber or organic materials. Beware of marketing gimmicks in this arena, ‘natural’ and ‘eco-friendly’ are buzz words frequently used to greenwash products that have no real guarantee or certification. So what makes a mattress ‘natural’ or ‘organic’, and why is it important? you are probably wondering. The many materials which go into mattresses today can include many types of chemicals, metals, petroleum based polyurethane foams, pesticide-laden cotton, flame-retardants, all of which you are in constant contact with and breathing in for a good portion of your life. 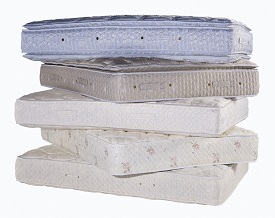 Natural and organic mattresses attempt to solve this by using sustainable, natural, and organic materials, and restrict the use of chemicals in production. What is inside the mattress, and can I see it? How much of the mattress is natural? What parts are natural and which aren’t? Is this 100% natural latex and are there any additives? Are there adhesives used to glue the mattress, and are they adhesive formaldehyde free? What’s the mattress cover made of? 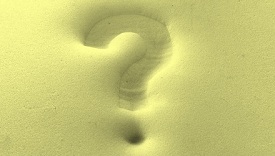 Does the mattress contain any fire retardants, volatile chemicals, or volatile organic compounds (VOCs)? Are the mattresses certified as chemical free? Ask for the testing board certifications. See if the mattress has an odor, this can hint to the off-gassing chemicals. So once you have decided to chuck the old mattress in favor of a new organic mattress, you may find that you actually sleep better! I grew up using those latex mattresses and organic cotton for our pillows. We just had to shift to those synthetically manufactured cottons for our pillows and cushions because my sister had allergies. But yeah, it’s better if we use the sustainable and organic ones. These are always the best, no doubt about that. Really insightful post – I haven’t looked into those mattress suppliers you mentioned, but I have heard good things about Savvy Rest’s Organic Mattresses if you or your readers are interested. Also, that’s a really good list of questions to check on when buying a mattress, it’s definitely a purchase you’ll want to make after some research when you’re fully informed. 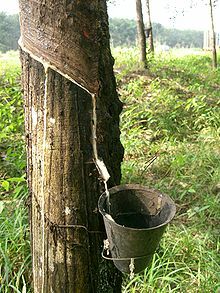 Natural, botanical latex is a liquid plant extract derived from Hevea brasiliensis, the rubber tree plant. Through a manufacturing process that aerates, dries, and vulcanizes the liquid latex, this natural and sustainable product can be transformed into a cushiony, resilient foam that has become an extremely popular mattress material. Funny that you have Keetsa then go on to talk about green washing, as Keetsa is a Chinese made product made with polyurethane foam with 12% castor bean oil, a mystery chemical fire barrier and is covered (high end models) with 60% polyester fabrics. So, please tell me if you agree that polyester polyurethane foam shipped from China is green? @Bill – As I stated in the article, Keetsa is one of the brands claiming to be green, however, only uses a percentage of organic or natural materials in its production, which is exactly why I warned of greenwashing! You would be better off with the other brands I listed such as Coco-Mat, Essentia, and US based Earthsake.